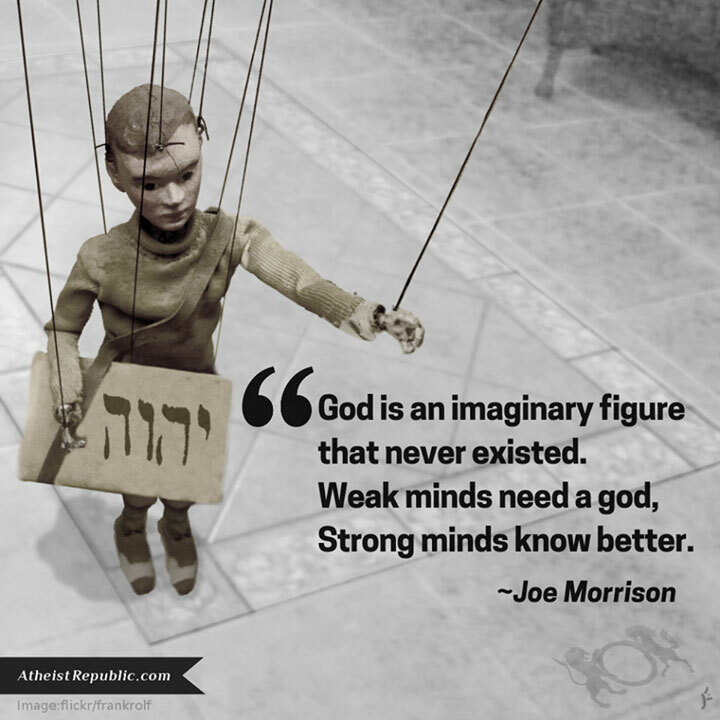 God is an imaginary figure that never existed. Weak minds need a god, Strong minds know better. Absolutely correct. People and countries have been slaughtering each other for thousands of years in the name of religion. And it is all for things that science biology, physiology, and common sense tell you could NEVER have happened!! How crazy is that!! This world would be alot more peaceful place WITHOUT RELIGION! What do you think the root cause of all these countries battling each other is...RELIGION!!! It had cost thousands of lives, trillions of taxpayer dollars, and divided countries... all over what? ?